SAN FRANCISCO, California, October 29, 2013 (ENS) – Oregon and Washington states have agreed to put a price on emissions of the greenhouse gas carbon dioxide, aligning their policies with those of their neighbors California and British Columbia. The agreement was reached Monday as part of a broader deal to combat climate change among the U.S. Pacific Coast governors and the premier of British Columbia at the Pacific Coast Collaborative leaders’ forum in San Francisco. The leaders signed the Pacific Coast Action Plan on Climate and Energy, committing a region of 53 million people that represents the world’s fifth largest economy to a far-reaching strategic alignment to combat climate change and promote clean energy. 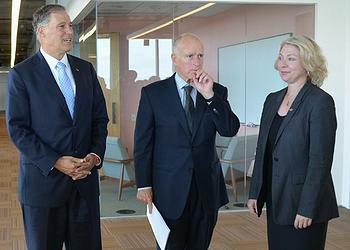 California Governor Jerry Brown, Oregon Governor John Kitzhaber and Washington Governor Jay Inslee were joined at Cisco SF by British Columbia’s Premier Christy Clark, who participated via TelePresence from Victoria. British Columbia Environment Minister Mary Polak attended in person. “When B.C. put a price on carbon with our revenue-neutral carbon tax it was recognized as a ground-breaking achievement, especially since we’ve proven it’s possible to grow the economy while reducing greenhouse gas emissions,” said Polak, claiming the role of “climate action trailblazer” for her province. “B.C. has been encouraging other jurisdictions to follow our lead, and the agreement signed today is the result of that effort. It’s great news that Washington and Oregon are committing to carbon pricing,” Polak said. 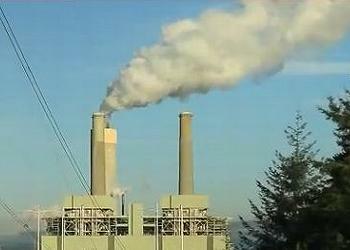 The form that carbon pricing might take in Washington and Oregon is still to be decided. Both a carbon tax and a cap-and-trade mechanism are already in use along the West Coast. British Columbia introduced a carbon tax in 2008, taxing emissions of carbon dioxide from power plants, refineries and other industrial and transportation operations. Consumer gas prices went up, but so has British Columbia’s GDP, and greenhouse gas emissions fell. California put a carbon pricing cap-and-trade system in place earlier this year; companies emitting more than a certain amount of carbon dioxide must purchase emissions permits from companies with cleaner facilities. Under the new Pacific Coast Action Plan on Climate and Energy, California and British Columbia will maintain their existing carbon pricing programs along with their respective clean fuel standards, while Oregon and Washington have committed to moving forward on a suite of similar policies. Washington Governor Jay Inslee this month set forth a cap-and-trade strategy to reduce overall industrial carbon pollution in his state to limit the overall output of carbon dioxide and related pollution. 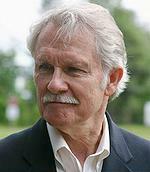 Oregon Governor John Kitzhaber’s 10-year energy plan includes suggestions for limiting carbon emissions but makes no mention of either a cap-and-trade system or a carbon tax. “Energy is THE issue of our time–both globally and here in Oregon–and no single issue will have a greater impact on our state’s economy, environment and quality of life in the coming decade,” said Governor Kitzhaber. “The central question is whether we will shape our energy future through intentional investment and development, or whether it will shape us. Working together across the west coast jurisdictions we can build more resilient economies prepared to face the 21st Century,” Kitzhaber said. Looking to limit global climate change, the four leaders pledged to cooperate with each other and with other national and sub-national governments to build a coalition of support for a legally binding international agreement at the United Nations Conference of Parties to the Framework Convention on Climate Change in Paris in 2015. The leaders further agreed to harmonize their 2050 greenhouse gas emission targets and develop mid-term targets where needed to set a path toward long-term greenhouse gas reductions. The four leaders agreed to transition the West Coast to clean modes of transportation and reduce greenhouse gas emissions from this sector with four different lines of action. First, they will adopt and maintain low-carbon fuel standards in each jurisdiction. Oregon and Washington will adopt low-carbon fuels standards, and California and British Columbia will maintain their existing standards. The four governments will work together to build an integrated West Coast market for low-carbon fuels that the leaders say will keep energy dollars in the region, create economic development opportunities for regional fuel production, and ensure predictability and consistency in the market. 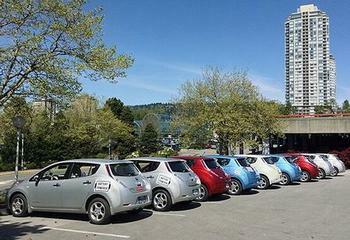 While the Pacific coast already has the highest penetration of electric cars in North America, the four leaders will act to expand the use of zero-emission vehicles, aiming for 10 percent of new public and private vehicle purchases by 2016. To hit that target, they will support public and private fleet managers to shift toward electric car purchases and will continue to invest in infrastructure to enable low-carbon electric transportation. They pledged to support emerging markets and innovation for alternative fuels in commercial trucks, buses, rail, ports and marine transportation and to support the market transition to biofuels, electricity, natural gas and other low-carbon fuels in local and export markets. Clean energy and climate-resilient infrastructure is a key part of the Pacific Coast Action Plan on Climate and Energy. The four leaders agreed to transform the market for energy efficiency and lead the way to “net-zero” buildings, support strong federal policy on greenhouse gas emissions from power plants, make infrastructure climate-smart and investment-ready, streamline permitting of renewable energy infrastructure and support integration of the region’s electricity grids. Climate change is affecting the Pacific Ocean upon which all four governments depend, the leaders recognized. They promised to urge the American and Canadian federal governments to take action on ocean acidification, including crucial research, modeling and monitoring to understand its causes and impacts. The Pacific Coast Action Plan on Climate and Energy agreement affirms the need to inform policy with findings from climate science.